Cycling through villages,fruit gardens, rice paddies. 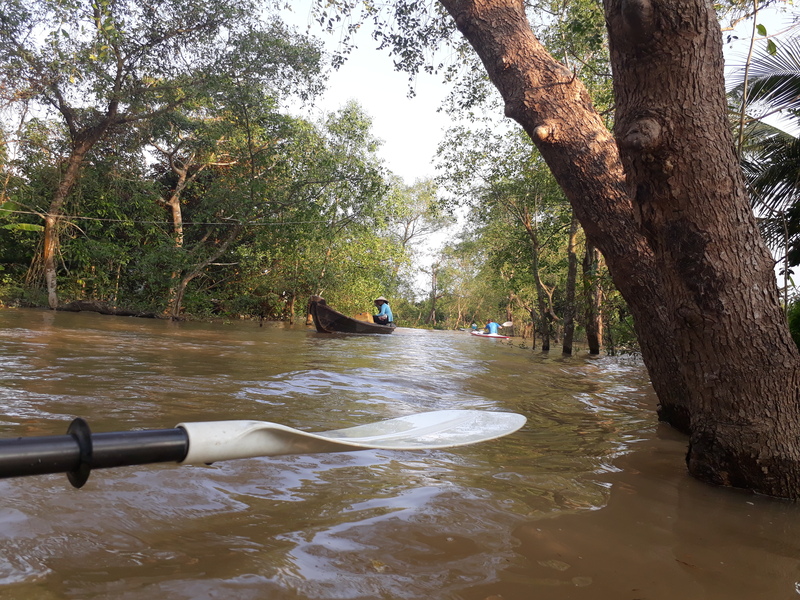 Kayaking on the Mighty Mekong River. Stay over night with the locals. Enjoy the sunrise by the River. Taste all special Mekong food join in mini cooking class. 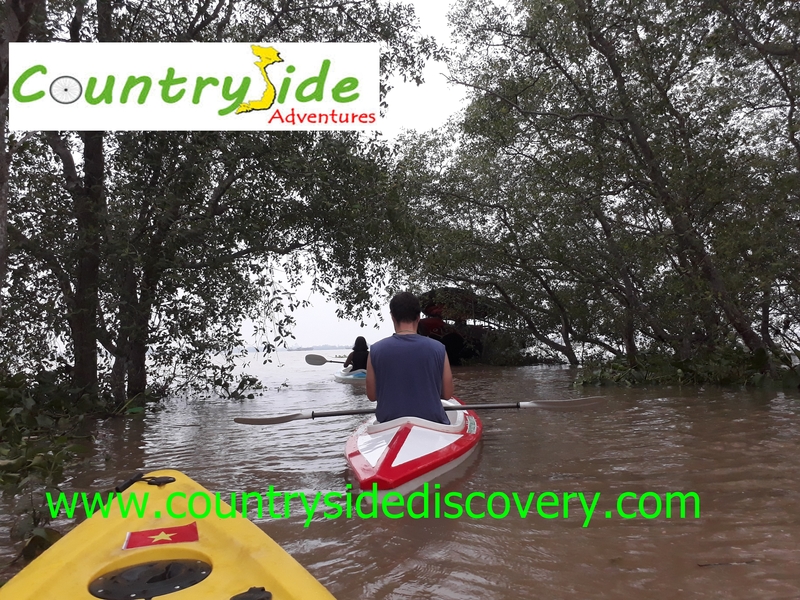 Morning, Pick up at your hotel and transfer to Ben Tre province (Mekong Delta) approximately 1, 5 hours. 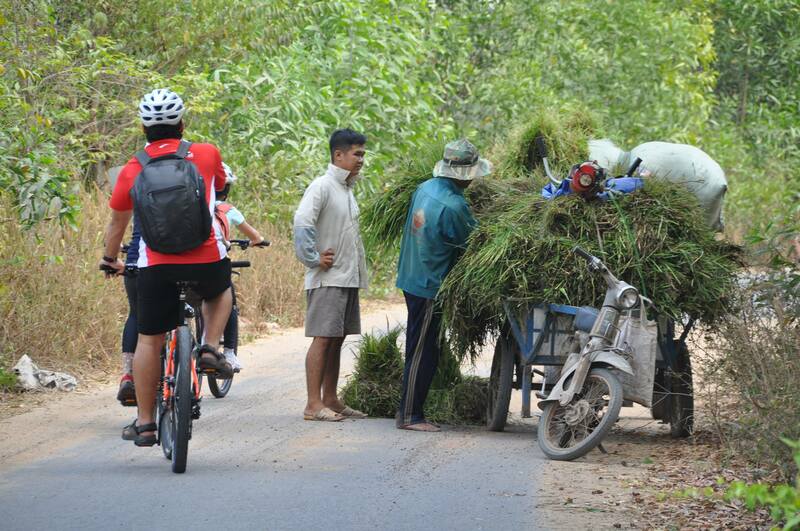 We start our cycling adventure into the heart of the rural Mekong countryside. 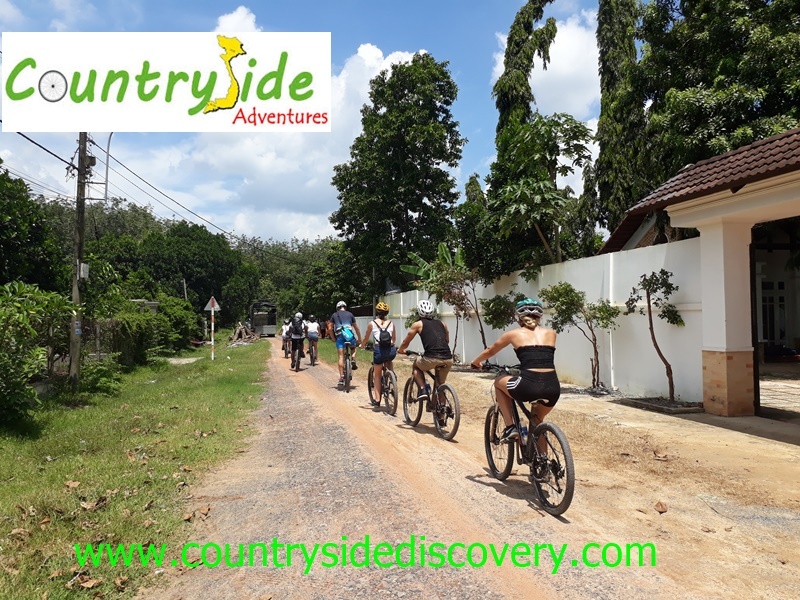 While pedaling along the narrow lanes, passing through banana plantation, fruit gardens, and coconut palms we will pass through the lush green landscape of the delta providing you with the real experience the countryside. We take some local ferries crossing several canals and rivers for an amazing cycling day meeting with locals. 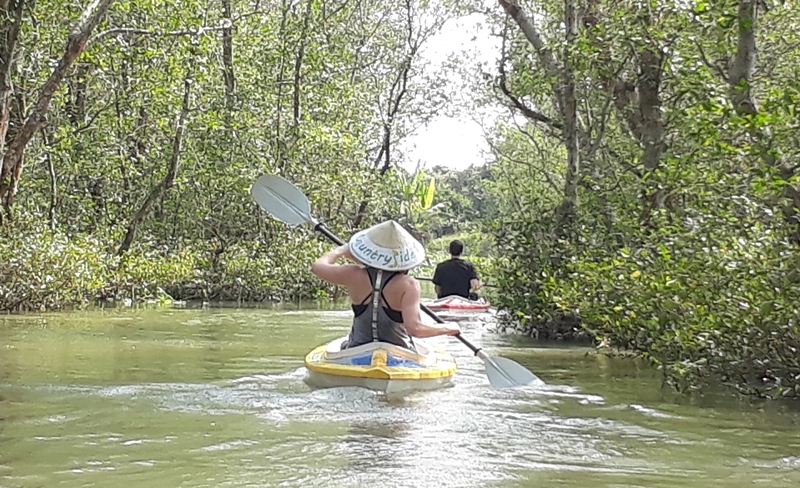 After we’ve thoroughly burned through some calories we will stop and have lunch at local restaurant with some special Mekong food. 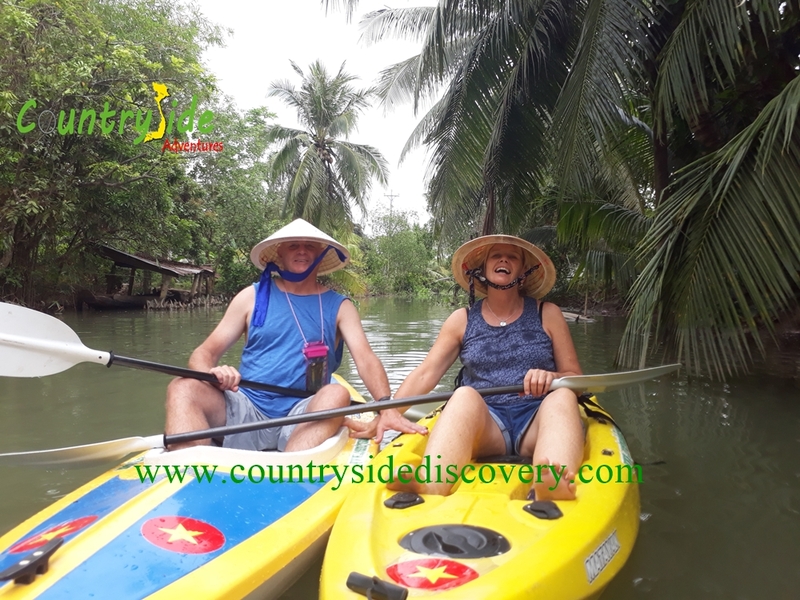 In the late afternoon, we will enjoy hours kayaking into canal,through island where we can experience the real river life. 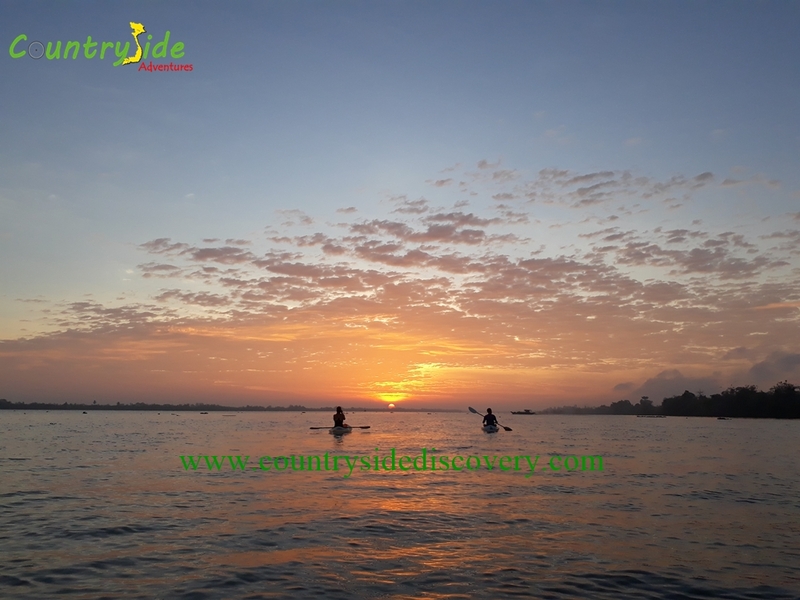 It also a great chance to see the Sunset on the Mighty Mekong river. Transfer to local place. That night we will learn about Vietnamese cooking with the host to prepare some dishes for our dinner. Overnight at local homestay. Today we wake up early in the morning for a short ride to local morning market on the island, Have a cup of coffee to see the local life and morning activities of the locals. 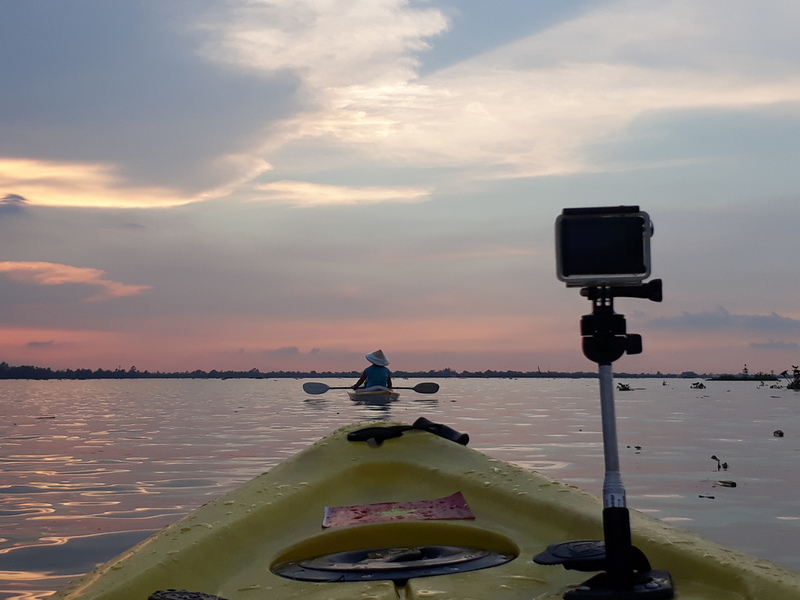 follow by kayaking to see the Sunrise on the Mighty Mekong river . 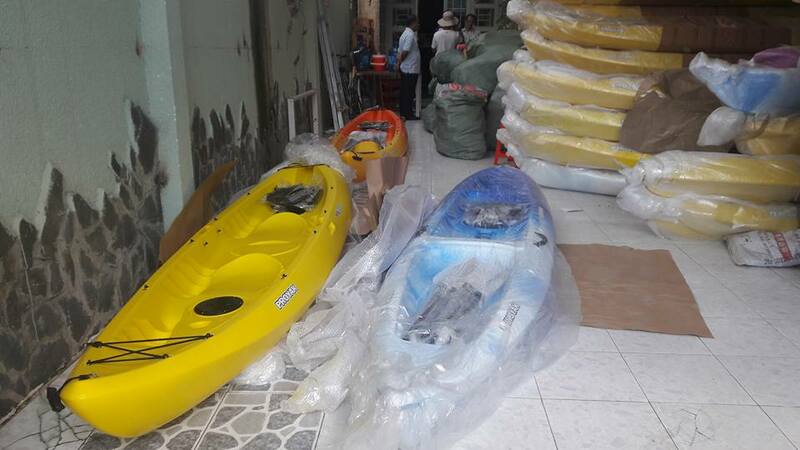 Keep kayaking to Floating market. 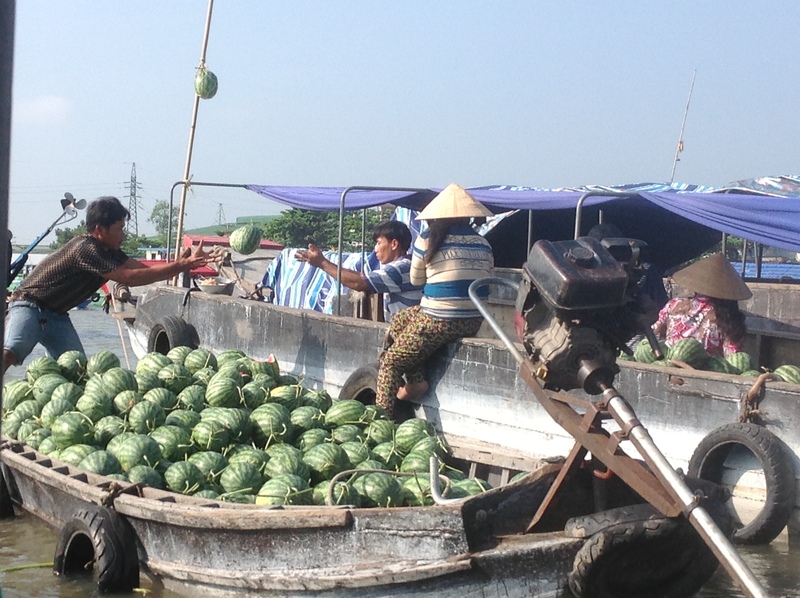 It’s also a chance to have breakfast or simply enjoy a cup of coffee by the floating market. Enjoy walking around the village or take another a bike ride around village. We stop at locals’ place for lunch before transfer back to Ho Chi Minh in the afternoon ending our Mekong countryside trip. 1 Minivan 16 seats for 4-8 people. 1 mini bus 29 seats for group 9 -15 people. Local fruits, snacks and bottled drinking water (5 liter/1 biker/1 day) in cycling day. 01 night at local homestay.